When two football teams compete a maximum of one of them can win. For an increasing number of people that simple reality, which should need no reiterating, is becoming harder to deal with. It is glaringly obvious an increasing number of supporters are finding defeat, draws and even unconvincing victories hard to tolerate, and it is extremely annoying. Twitter, in keeping with a more general trend towards toxicity above fun and insight, is no place to be if your team has not just won at least 3-0. The percentage of users who can just shrug their shoulders and hope it’s better next time is alarmingly small. Instead, fans let rip, first with some stark expressions of just how unhappy the team have made their life and then some equally irrational solutions that they must believe the manager is reading and will, if implemented correctly, ensure they never lose another game. Then again, their prescribed remedies usually start and end with replacing the manager, something statistical study has shown to be largely unsuccessful, but happens as frequently as it does presumably because club owners and supporters alike want to find a single point of blame for a situation that is usually the consequence of a variety of factors. We’ve all done it. I remember last season Christian Benteke, having gone ages without a goal, grabbed the ball off the usual taker when Palace were awarded a late penalty and it was saved. “Get out of my club,” I tweeted in a moment of rage. Now I’m pleading for the guy to start up front instead of having to watch from the dugout. But while we are all allowed the occasional meltdown, it is the constant bleating whenever a result does not go as hoped that is so draining and pointless. It is the failure of so many people to peg their expectations at a reasonable level that is the root of all this chronic dissatisfaction. A team in the lower half of the table lose away to a team near the top. Result: uproar, anger and outrage. Every time. The manager is clueless. The selection was wrong. The substitution strategy was flawed. And here’s one that is cropping up with increasing frequency - “it’s just not acceptable”. Isn’t it? Why not? And what are you going to do about it other than stand there whining like a restaurant customer who has had to wait an hour for their main course? I can think of only a tiny number of teams for whom it is valid to claim things are genuinely unacceptable, Blackpool under the Oyston regime being the first to spring to mind. 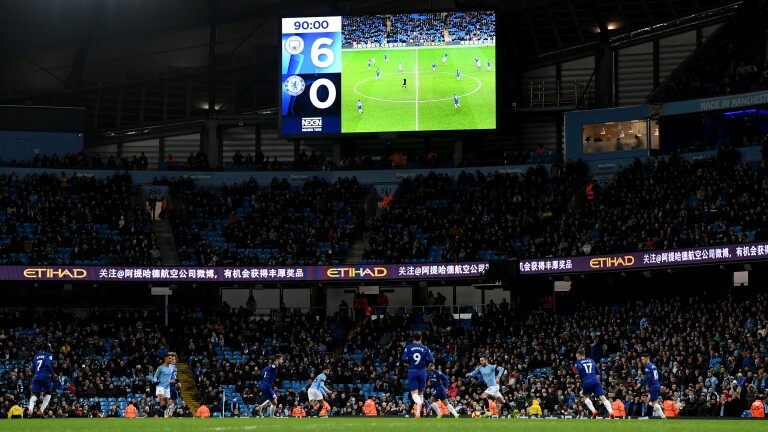 There are plenty of other clubs for whom life as a fan can undoubtedly be disappointing, but in days of old you just accepted that was your lot rather than wet yourself because your fairly small outfit don’t perform like Man City every week. If you look at the current Premier League table it is all panning out largely as the pre-season markets anticipated. The top two have maybe been more dominant than expected and the bottom two undoubtedly more feeble, but otherwise there is nothing that would have shocked anyone in August. Yet all over social media the sound of moaning greets every defeat. Part of being a football fan is the dream that your team will soar way above what they have been doing for most of their recent history. But that appears to have become the expectation rather than the irrational hope for many fans these days and it is causing a ridiculous amount of ill-feeling. As well as being a game in which either no team or only one team can win, football is also one in which results are affected far more by luck than is accepted, especially now everyone demands a logical narrative for what happens on the pitch. There usually isn’t one. A match consists of a series of mini-contests that take place between each of the many stoppages. Some, corners being a great example, can end in anything from a goal to a great save to a penalty to a counter-attack to something more boring like the ball being hacked clear for a throw-in and the start of the next passage of play. The difference between a goal and another outcome is often decided by randomness. Did there happen to be a defender in the way of the header? Did someone get played onside by a millimetre? Sometimes your team benefit from bits of luck and other times it costs them goals and points. The idea that managers should be fired, often throwing clubs into turmoil, because of a ricochet here or a bad bounce there, is ludicrous and yet it happens all the time. Whenever people demand Roy Hodgson, a brilliant, experienced and decent manager, is fired I always ask who the person would like him to be replaced by. I used to do the same to the Wenger-out brigade. The responses are fairly limited. Anyone is a popular retort, as is someone who can take us forward. What seldom happens is someone produces the name of another manager who might be superior to the current incumbent but also feasible to recruit. The pain of defeat is part of following a team. You truly cannot savour the highs without having sat through the turgid lows. We all want to win more games than we lose but the modern fan seems increasingly incapable of dealing with dropped points without losing their heads and their dignity and flying off the handle in a pathetic, doomed search for a culprit. It’s possible Leicester are partly to blame for turning impossible dreams into reality, but it’s likelier that a lot of people are just needier and greedier these days. Frankie Dettori, Sir Anthony McCoy and John McCririck. The three racing figures who could walk down Oxford Street and realistically expect to be recognised by people who are not fully hooked on the sport. But of those three Big Mac is seldom on the telly these days, Sir Anthony is on telly but not on horses any more and, even though he is riding and thriving as well as he ever has, Frankie’s fabulous career is entering its twilight years. New faces need to emerge who can break through the walls of the racing bubble and entice and engage a fresh audience, and until last week it was difficult to identify where the next one might come from. But then the wonderful Bryony Frost showed her uplifting and illuminating post-race interviews from the saddle are not the limit of her broadcasting talents and now we might just have a new face of racing to carry us forward for decades to come. While the rising star of jump jockeys would rather have been wearing breeches than blusher during the Grand National meeting, her input to ITV’s coverage was immense and extremely exciting to watch. The key ingredient for any TV personality is that they are likeable and she passes that test with flying colours. Her warmth and exuberance were a joy to witness and she has articulatory skills that mark her down as a supremely gifted broadcaster whenever her riding career ends or, ideally in the short term, when she is able to combine both. I like the fact that so much of ITV Racing’s output is done with a smile. Some more traditional viewers unfairly translate that into dumbing down, but it is not. It is simply a realisation that when people tune in to watch top-quality racing they are doing so as part of their leisure time and therefore do not want the kind of more earnest approach that is often found on the dedicated channels, particularly Racing TV which at its best is excellent but at other times needs to lighten up. Frost epitomises the upbeat vibe, but does not sacrifice substance amid the smiles. Her insight when accompanying Luke Harvey around Aintree’s iconic obstacles on the morning of National day made for fascinating viewing and she contributed significantly to the afternoon transmissions too. Long may Frost thrill us in her primary role as a jockey, but with careful management she also has the potential to prove a valued addition to the broadcasting ranks and also break into the mainstream conscience, with benefits to her own profile should she want that but also to helping ensure people realise racing can be a youthful, vibrant and fun place.